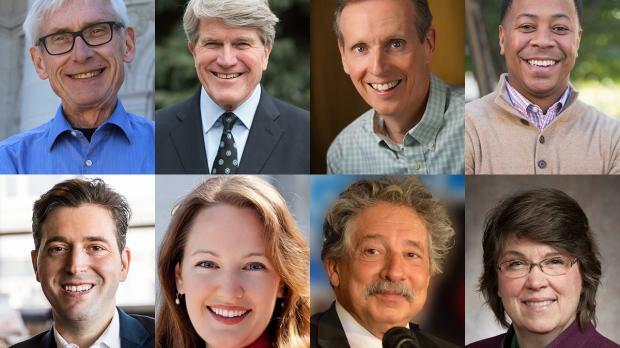 The eight Democrats running for governor raised money at a clip that lagged well behind Gov. Scott Walker in the first half of 2018, with several of the candidates reaching into their own pockets to fund their campaigns. Walker raised roughly $5.5 million and had $5.9 million cash on hand as of June 30. By comparison, all Democrats combined, including two who have since dropped out of the race, raised a total of $1.9 million and had roughly $3 million in cash. While no one Democrat overwhelmed the rest of the primary field, four candidates — state Superintendent of Public Instruction Tony Evers, Milwaukee attorney Matt Flynn, Madison firefighter Mahlon Mitchell and former Madison state Rep. Kelda Roys — raised six-figure sums in the first half of 2018. Evers, Flynn and Roys all donated at least $100,000 to their own campaigns, with Roys lending herself more than $350,000. Mitchell’s campaign, meanwhile, was financed by hundreds of thousands of dollars in contributions from unions. Campaign fundraising is just one measure of a candidate’s viability. Which candidate had the best year so far depends on how the numbers are sliced. While she trailed Walker’s total, Roys had more money in the bank than any other Democrat at the end of June, thanks in large part to her own donations. In theory, that makes her well-positioned to make a final push for the nomination in August. Kenosha native Josh Pade, who was the last Democrat to join the race, ran a deficit as of the end of June. Roys also raised more money than any other Democrat in the first half of 2018, followed by Mitchell, Evers and Flynn. Again, personal contributions were a factor here. Between last year and this year, Roys gave her own campaign more money than any of the remaining candidates for governor. Flynn gave his campaign a $140,000 loan while Evers put up $100,000 for his race. Activist Mike McCabe and Alma state Sen. Kathleen Vinehout, both of whom have run lower-budget races, also put up some of their own money. The $60,000 McCabe gave himself included $10,000 from his wife, and the roughly $15,000 Vinehout gave her campaign included a $10,000 loan from her husband. Two other Democrats who gave heavily to their own campaigns have already exited the race. Milwaukee area businessman Andy Gronik gave his campaign $467,000 through the end of June and Eau Claire state Rep. Dana Wachs gave his campaign $335,500. When personal funds are taken out of the equation, Mitchell led all Democrats in cash on hand. The caveat: Mitchell received $776,856.25 of his contributions from committees, most of them unions throughout the country. Mitchell’s connections to organized labor are no secret. He’s president of both the Wisconsin and Madison firefighters unions, and he’s been endorsed by unions ranging from the AFL-CIO to AFSCME. But a large check from a single union — like the $50,000 Mitchell’s received from AFSCME on June 1 — doesn’t necessarily reflect a campaign with a broad base of donors. Mitchell isn’t the only candidate to receive a big check from a single committee. EMILY’s List, the national group that supports women running for office, gave Roys $84,000 at the end of June. When only donations from other people are considered, and self-funding and political action committees are taken out of the equation, Evers rises to the top of the list of Democrats. Practically speaking, this is just a thought exercise: Self-funded campaigns and political action committees aren’t going anywhere and have the potential to make or break a campaign. But Evers’ lead in this category shows he’s been able to capitalize on his three statewide runs for state superintendent, allowing him to reach a wider audience of donors. Candidates will file their next fundraising report on August 6. The primary is August 14. 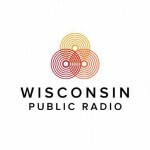 Democratic Donations Split In Crowded Primary For Governor was originally published by Wisconsin Public Radio.